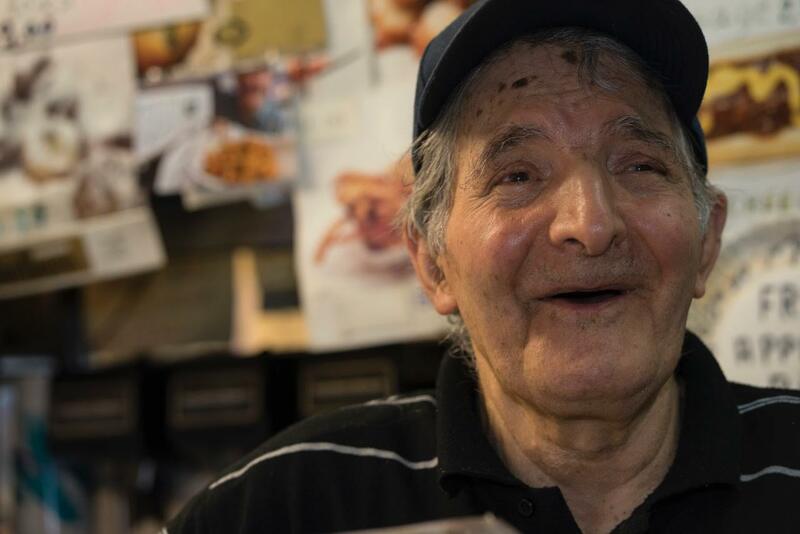 In an article published Sunday, Alex Vadukul at The New York Times looks at the relationship between filmmaker Arya Ghavamian and Ray Alvarez, the proprietor of Ray's Candy Store on Avenue A.
Ghavamian recently held a successful crowdfunding campaign to help cover the production costs of his coming documentary, "The Candy Store," which "explores Mr. Alvarez's reputation as an unlikely Zen character displaced from New York’s urbanity." The Candy Store: A Documentary from candystoremovie on Vimeo. Well what a wonderFULL post to greet me as I return to the net after an abstinence of exactly 389 days. EVERYthing has taken me longer to accomplish than I anticipated (situation:normal:), with the return of electricity to the bldg only in the last few days, and satellite net today (fairly slow 50G's for $70, $150 upfront). SUPAH RAY GONNA BE A STAHHH! Could'na happen to a finer fella! (I'll eventually read the backstory here, and in general catch up with 'da news, but won't be commenting til the fall....my list of 1280 things to do is finally below 1000.....WAY too busy. I wish you all HOT FUN IN THE SUMMERTIME! Impressive article in the NYT. Ray is a worthy subject for a documentary. Every time I want to cancel my subscription to the NY Times in disgust, something like this happens. They're outwitting me, is what it is.